According to the U.S. Environmental Protection Agency, states should inspect each of their major water polluters at least once a year. However, studies have shown that the frequency and stringency of inspections depend on factors such as state budgets, state employee costs, and Congressional voting patterns and committee memberships. This paper adds to this literature by examining the effect of gubernatorial political party affiliation on Clean Water Act monitoring and enforcement. 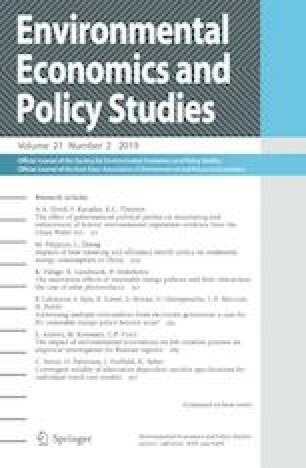 Using a regression discontinuity design approach, we find evidence that states with Democratic governors inspect a smaller percentage of their major water polluters, and that they inspect less stringently, compared to states with Republican governors; enforcement actions, however, are similar across states. We find no evidence that these differences in inspections lead to differences in compliance, suggesting that Democratic and Republican governors use different methods to generate compliance with the Clean Water Act. We thank the editor and two anonymous referees for their thoughtful comments. We are indebted to Will Wheeler for his generous support and suggestions. We thank discussants and participants at the Southern Economic Association annual conference for many helpful comments. We also thank Darby McGlone and Rachel Rodgers for valuable research assistance. Any remaining errors are ours.